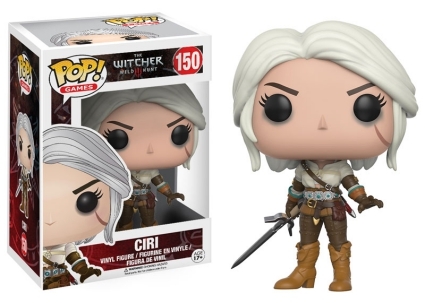 The White Wolf enters Pop! 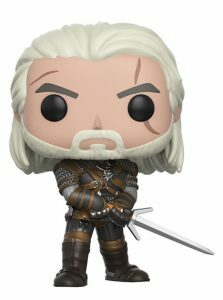 Games with the arrival of 2017 Funko Pop The Witcher vinyl figures. 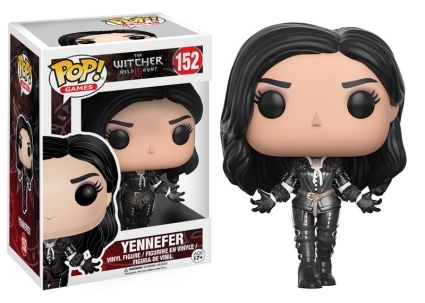 The set offers characters from The Witcher video game franchise. The action role-playing game (RPG) is set during medieval times and based on the Polish novel series of the same name by Andrzej Sapkowski. Geralt of Rivia, a.k.a. The White Wolf, is a genetically enhanced human who possesses great powers with the ability to hunt and destroy monsters, both human and otherworldly. In the single-player game, players have three fighting styles to choose from if and when they decide to battle. However, every decision must be made carefully as they affect the overall gameplay. 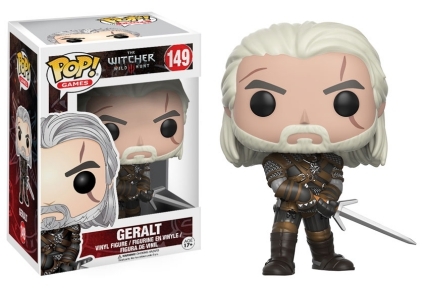 Funko Pop The Witcher figures skillfully replicate their game counterparts. The white-haired Geralt and Ciri brandish their swords and both are shown with scarred faces. Geralt is posed wearing leather boots, gauntlets and chest protector over his chainmail armor. 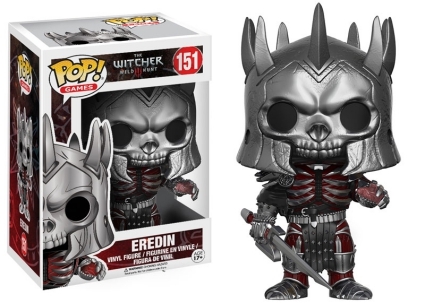 Eredin, King of the Wild Hunt, is in full battle attire, including his spiked helmet, which makes him appear taller than the standard Pop! size (3 3/4"). 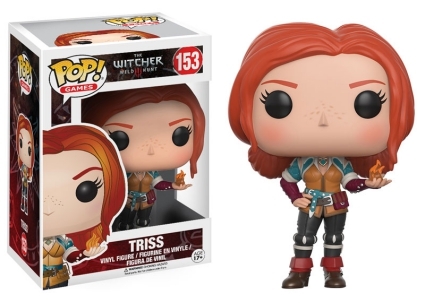 Lastly, Yennefer is dressed in all black, while Triss stands out among the rest as she is presented in bright colors of teal and gold, matching her red-orange hair. 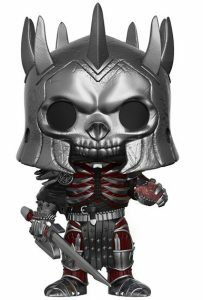 Funko Pop The Witcher vinyl figures are part of the larger Pop! Games line and their numbering reflect this.